Books are a part of God’s creation and exhibit man’s being made in the image of God. Yet books are not innately sanctifying nor are they neutral. 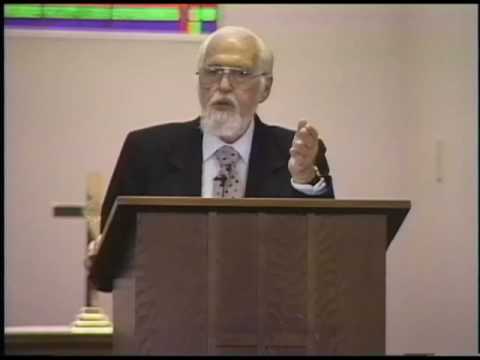 James tells us that the same tongue can praise God or curse God. Likewise, the same pen can write God-honoring truths or God-denying falsehoods. Recently, I read a book called The Man Who Loved Books Too Much by Allison Hoover Bartlett. The title made me think the book could be about me, but by the grace of God alone, it wasn’t. It was the story of John Charles Gilkey, a book thief, and Ken Sanders, the book dealer who tracked him down. Gilkey connived and deceived sellers of expensive, rare, and antiquarian books. He accumulated certain collectible books because he thought it gave him a certain prestige, class, and acclaim among the wealthy and powerful. Two countries have continually attracted my attention as a student of history and theology. History is filled with great powers that have risen to prominence and have ruled the lands and seas. They conquered kingdoms, accrued vast territories, dominated culture, and changed the world. But the two countries that repeatedly draw me like a magnet were not great powers. They never really controlled vast territories or dominated the world. Neither country had the natural geography or resources to be world movers and shakers. But their influence has been repeated, profound, and salt-and-light type changing of the world. I speak of the Netherlands and Scotland. One might notice that Scotland itself has not been an independent country since the 1700s at least. (A plebiscite last year fell short of a majority. I will not take sides on that issue.) Certainly, the geographical challenges of both the Netherlands and Scotland, along with the histories of the people, have ingrained character traits into the people. But more than Dutch lowlands and Scottish highlands have impacted the people. It was Calvinism that gave a certain grade of steel into the Dutch and Scottish hearts. That is not to say that all Scots or Dutch were or are Calvinists, and it is not to approve of all that Scots and Dutchmen have done or thought in line with their beliefs. Neither land was ever a Reformational Utopia, but both have heavily salted and boldly lit up by the work of the Holy Spirit. 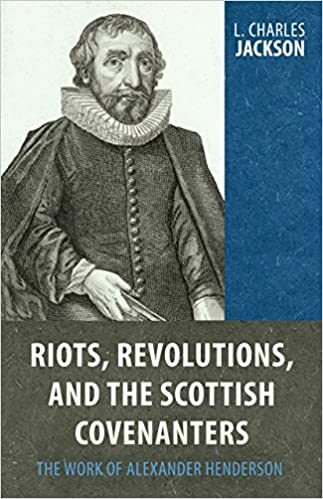 I am currently reading Riots, Revolutions, and the Scottish Covenanters: The Work of Alexander Henderson by L. Charles Jackson. 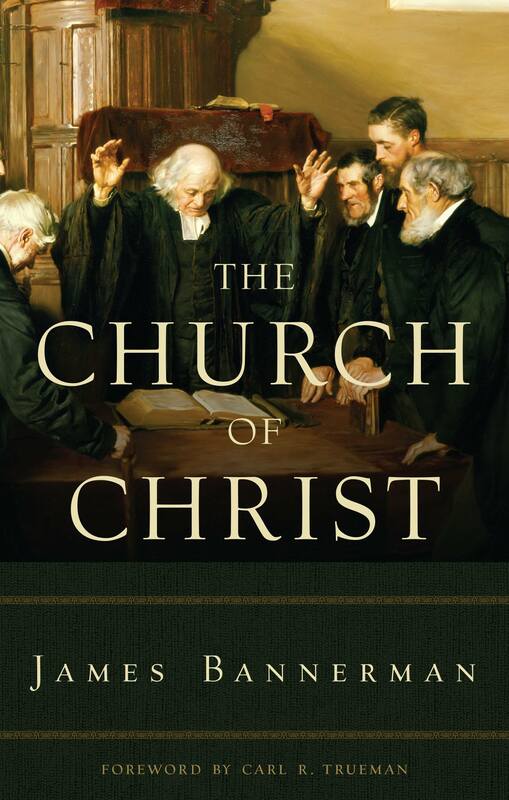 This book is published by Reformation Heritage Publishers, which is a top-notch source of great Christian books–their own publications and others they carry–in the Reformed perspective. In the midst of our current, on-going, unrelenting culture wars, Christians need to be preparing for front-line cultural and spiritual battles. That means reading about Christians who have gone to the mat in previous times. The Scots were known for their dogged devotion to Calvinistic doctrine and their unflagging insistence on church and state bowing before the throne of King Jesus. Alexander Henderson is one of many who are not well known among most of us, but who should be. This is a scholarly study, and it is not an easy, quick read. But this is a great contribution to our understanding of an overlooked phase of history that sheds light on our times. Far better known than Henderson is John Knox. He is one of the key figures in the Reformation as a whole, and, in particular, the Reformation in the British Isles. I have only read a portion of this new biography of John Knox by Jane Dawson, but it is obvious from the very beginning that this is a first rate biography. It is worth noticing some of the other descriptions and reviews given of this book, such as this one from the publisher’s web-site and the review found in The Scotsman. Quite often biographies of significant religious and political leaders fall into 2 categories. On the one hand, there are the popular biographies written for more general audiences. There are quite a few good accounts of Knox written to encourage believers and resurrect the good ideas and steadfast actions of Knox. The other types of biographies are the scholarly, more objective studies. These are more reliant upon an examination of the documents and letters, the more complex times in which the person lived, and the evaluation of other academic biographers. Both types of biographies are useful and needed. The line between the two is not always so pronounced. This is an academic biography of Knox, written by a university professor. But, based again on what I have discerned from the book, it is very readable and balanced. University presses don’t give their books away. You may have to put this on your wish list, or wait for the paperback edition (poor fellow! ), or ask Santy Claus to bring it to you. Or take another job, sell something, or rob a store to get $45 for the book. But get this book. Banner of Truth Trust exists in part to provide temptations for me. 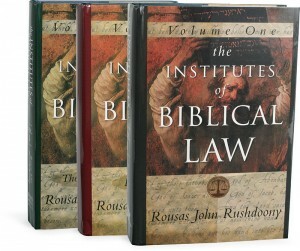 They publish and reprint quality and beautiful books in the Reformed tradition. I don’t think, to paraphrase Will Rogers, that I ever met a Banner of Truth book I did not like, or want. Sitting on my table is this incredible set of The Works of John Knox. I now know something of what it must feel like to be rich like Donald Trump (without his hair or wacky views) or Mitt Romney (without his Mormonism). In fact, I am wealthier than they are because I am sure that neither has this set of books. Right now, it is like the New World that Columbus stumbled upon (without his mistaking the location). There is a treasure trove of wealth here. Again, this is a pricey set. Banner sells it for $162, which is $27 per volume. But Banner usually has an enticing Christmas sale and that is not far away. Looking at the available space in Santy’s sleigh, there is adequate room for him to pack a set of Knox’s works. One of the many great scholar-pastor-theologians of Scotland was James Bannerman (1807-1868). He was a minister of the Free Church of Scotland and a professor of Apologetics and Pastoral Theology at New College, Edinburgh. This is a 900 plus page study of ecclesiology. 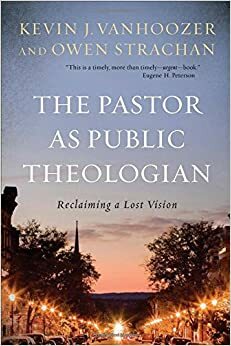 I reckon this would be a book more appealing to pastors and more often referenced and studied in part than read from “kiver to kiver,” but it is a good addition to the shelves. Of course, these four selections are only the tip of the iceberg, or only the top layer of a tilting stack of great Scots’ theology. Banner has also reprinted John MacLeod’s Scottish Theology in Relation to Church History, which I have in an older edition–from Banner. Then one cannot overlook Iain Murray’s delightful Scottish Christian Heritage. For one unaquainted with the Scots (basically converted, but barbarian), Murray’s book might be the best place to begin. Constant criticism of the staff. Families riven by poor leadership. Once-vibrant disciples walking away from the faith. “Many modern battles are fought block by block; the spiritual warfare is fought person by person. The site of this conflict is the human heart, the inner core encompassing all the hopes, thoughts, dreams, schemes, and conflict of a God-imaging person. Owen Strachan, “Of Prophets, Priests, and Kings,” page 38. Mark Twain said, “It’s not the size of the dog in the fight, but it’s the size of the fight in the dog.” He might well have been talking about that most Southern kind of dog known as the Feist. In the past, the feist was the most common dog found in Southern areas. Squirrel dog expert Randy Pannell said, “Go back fifty years and just about everybody in the South has some kind of Feist.” While the name feist is not as commonly used today, the breed has a prominent role in the history and literature of the South.